In the new thriller Hell or High Water, two brothers (played by Chris Pine and Ben Foster) stage a series of bank robberies in order to save the family farm. On their tails is a soon-to-retire Texas sheriff, who is introduced faster than a quick-draw's six-shooter. 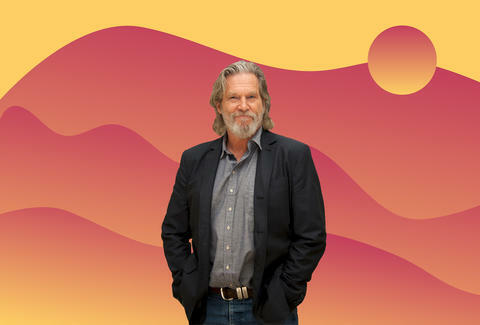 For good reason: Jeff Bridges needs no introduction. With the rowdy heist movie hitting theaters this weekend, we checked in with the Oscar-winning Dude to find out how a Hollywood kid like him grew to be a Western icon, and to find out what he really thinks of Texas. You snap naturally into Westerns, despite being born and raised in LA. How'd that happen? I think one of my first movies was The Last Picture Show -- shot in Texas. That's the way that the showbiz works often. You get known for a certain kind of character. I tried my hardest not to develop too strong of a persona. My father, Lloyd Bridges, he developed a very strong persona with Sea Hunt, a TV show back in the '60s. It drove him crazy. He got offered so many skin-diving scripts! How has Texas changed since you shot The Last Picture Show in the early '70s? It's hard to really say the difference. I remember when we did the sequel to Last Picture Show, [1990's] Texasville, we shot it in Archer City, the little town where we shot the first one. And the town looked exactly the same, except there was a big white glass bank, like it dropped out of the sky and fell in the middle of the town. That's about the only difference. 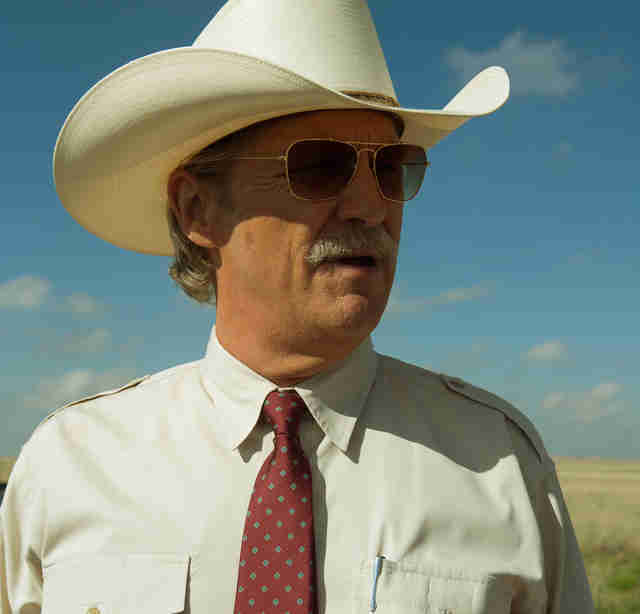 That's one of the themes of [Hell and High Water], too -- banks own the farms, buy them up. I guess you could relate that to, poetically, the Citizens United stuff. That changes things. You often wear cowboy hats in movies. Do you wear cowboy hats in real life? Sure, yeah. I keep the cowboy hat from each movie. I've got a slew of them. They're hanging on the hooks there [at Bridges' ranch] in Montana and where I live in Santa Barbara. Speaking of Montana, you once published a five-day conversation you had with Zen teacher Bernie Glassman at your ranch. What is it about Montana? It's very dear to my heart. We've had a ranch there for going on 40 years. I did a bunch of movies up there. My first movie up there was Thunderbolt and Lightfoot. I just felt, the first time I set foot in Montana, I thought, "Oh, I've got to get a place here. There's just something magical about it." The second movie I did in Montana, Rancho Deluxe, was very important in my life -- that's the movie I met my wife on. Tom McGuane wrote that script, and Jimmy Buffett is a great friend of Tom's, and he was on the set and actually wrote a tune for that movie. Jimmy's been a friend all those years. Wherever I go, I find music. In movies, wherever, there's always somebody who likes to pick, that kind of thing. Your character cranks up music during a big car chase for some added "giddy-up." What's your "giddy-up" music? You know, some good Hank [Williams] or some up-country tunes. "My Bucket's Got a Hole in It" or "Jambalaya (On the Bayou)." You know, it's hard to beat Hank. I'm here in Austin honoring Kris Kristofferson -- he's certainly a great country musician. I'm staying at the Van Zandt hotel in Austin, named after Townes Van Zandt -- he was a great country artist. Waylon, you know -- wonderful. Willie [Nelson]. Johnny Cash. You also create your own giddy-up music. What's the greatest musical moment of your life? I had my Beatles moment when my band, the Abiders, played Lebowski Fest. I played to a sea of Dudes, and bowling pins, and Maudes, and Walters. Oh, man, that was good. Matt Patches is Thrillist’s Entertainment Editor. He previously wrote for Grantland, Esquire.com, Vulture, The Hollywood Reporter, and The Guardian. He wants to visit Jeff Bridges' Montana ranch ASAP. Find him on Twitter @misterpatches.